The Tupelo Aquatic Center celebrated its grand opening in December 2013; a benchmark of community effort and city government backing. The sprawling 43,000 sq. ft. indoor aquatic complex features a state-of-the-art 50-meter by 25-yard competition pool as well as a separate recreation pool. The natatorium has the capacity for seating 900 spectators and includes a competition swim timing system with multiple scoreboard displays. The facility will serve as the official headquarters of Tupelo High School’s championship varsity programs, the USA Swimming-affiliated Tupelo Shockwave swim team, and year-round public aquatic programs for area residents. 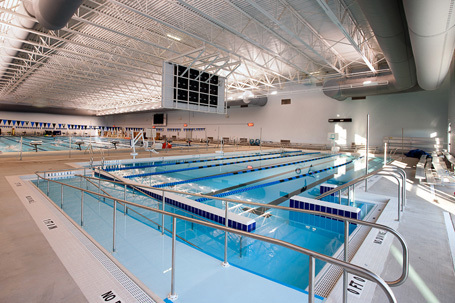 This aquatic center is designed to host both competitive community and high school events in addition to leisure swimming and lesson programming. This combined programming will attract thousands of annual visitors to Tupelo with the potential to generate millions of dollars in tourism revenue.